Jessica Wagner will be joining Chantale Riddle and Angela Veerman at VC Kanti in Shaffhausen for the 2018-2019 season. The team finished 5th place in the Nationalliga A (NLA) last season. They upset NUC Volley 2-1 in the best-of-3 quarterfinal series of the playoffs. 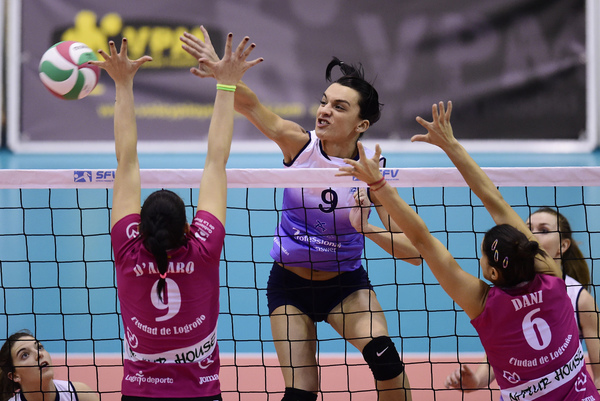 They were then beaten by Volero Zurich, the eventual champion, 2-0 in the semifinals. VC Kanti finished 4th in the playoffs after dropping the 3rd place series 2-0 to Dudingen VC. Wagner was an NCAA Division 2 champions at Tampa University before starting her professional career in Europe. She played a few seasons in Spain before moving to Finland to play for LP Kangasala this past year. Her team finished the regular season in 6th place, but made it to the semifinals of the playoffs before eventually finishing in 3rd place. Wagner led her team with 330 points on the season. She finished with 24 aces with a rate of 0.3 aces per set. Wagner was also 2nd on her team in terms of serve receptions being rated as perfect. In attack she scored points on 226 kills and led the team with a 57% success rate on her attack attempts. That equates to a .455 hitting percentage on the season. Wagner also led her team with 76 blocks on 0.8 blocks per set.